In this session, Participants will work on a glass plate and transform it into a unique creation in colors & designs of their choice. You will learn the technique of REVERSE DECOUPAGE that involves working on the backside of the plate. Reverse decoupage is a technique when print and paints are applied underneath the glass. 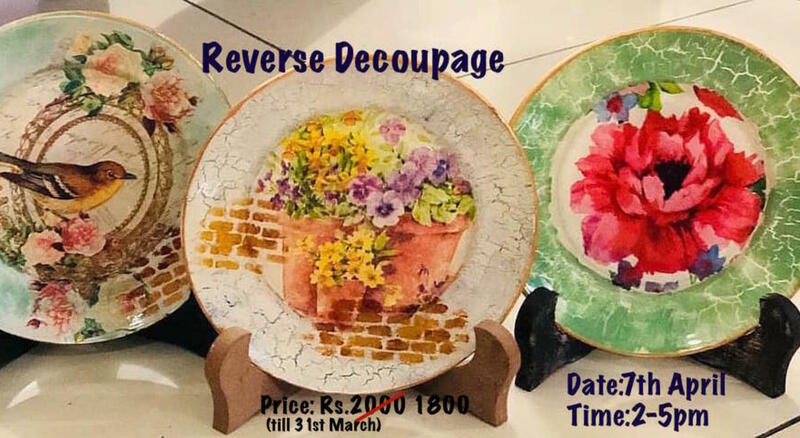 Reverse decoupage will add a wonderful dimension to your crafting skills. You may use the same technique to recycles/upcycle glass bottles.